The Peoria Area Chamber of Commerce supports an open and transparent process regarding discussions about the City of Peoria's franchise agreement with Illinois American Water Company. This is a major public policy issue that affects the future of the City of Peoria and the region. The topic warrants thorough analysis, discussion, and debate. 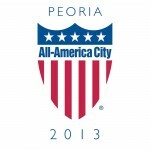 We have commitment from the City of Peoria that the process will be open and transparent. As the leading voice of business, we are here to assist in ensuring the entire process is transparent and that information is shared on a timely basis with the residents and entities impacted. During this process, we plan to share information with our members as it becomes available. Please contact the Peoria Area Chamber of Commerce if you have any questions.